This tangy yet sweet maple mustard roast pork tenderloin recipe brings together seasonal flavors in an easy-to-make-meal, perfect for a Sunday family dinner. 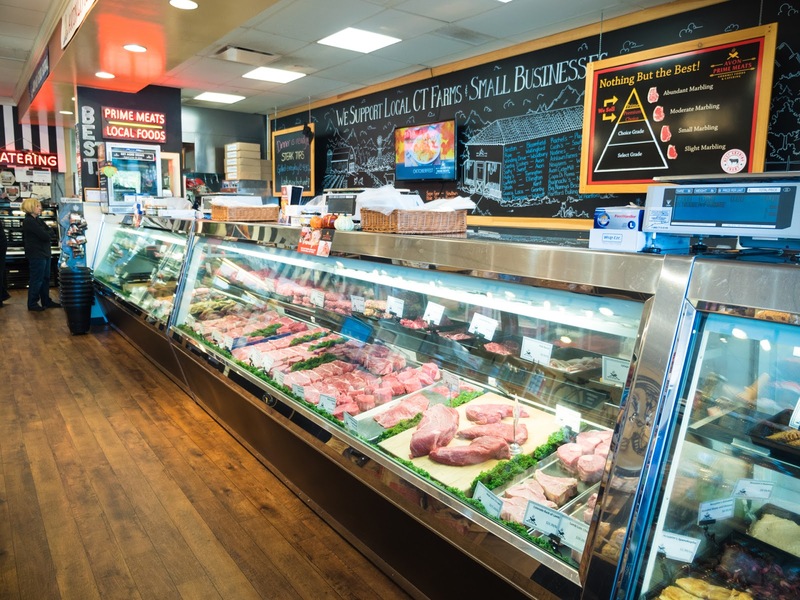 In business for seven years, Avon Prime Meats is well-known not only for their quality meat selection but also for their gourmet to-go prepared meals, both hot and cold. 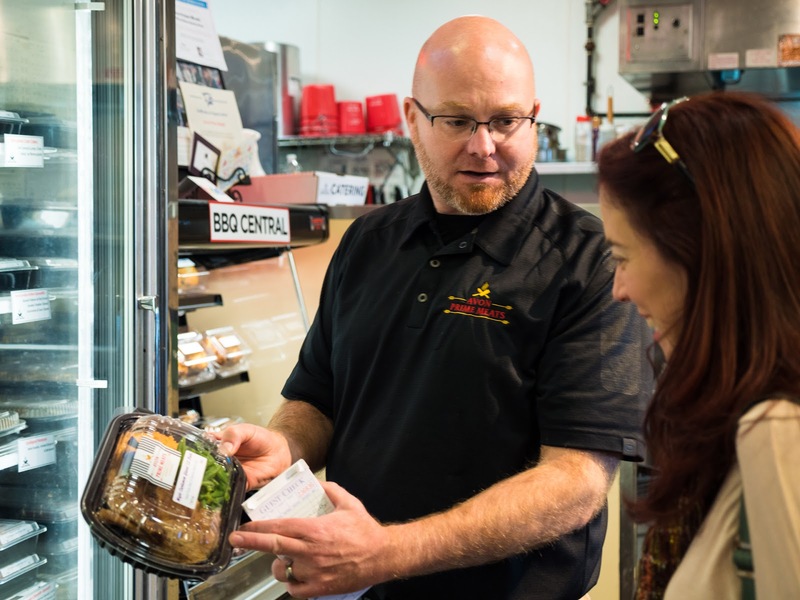 Their chefs make all of the meals in their off-site catering kitchen fresh every day. 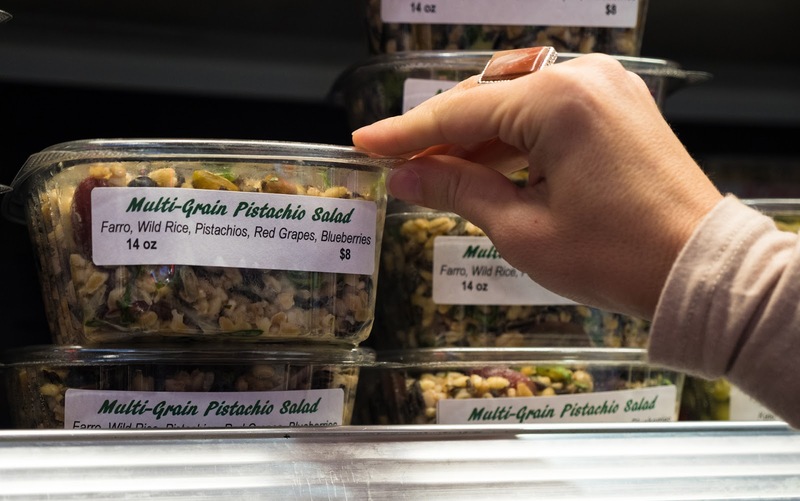 Plus, the store is packed with a very cool selection of hand-picked local goods, everything from milk to yogurt to condiments to desserts to bread to cheeses and more. 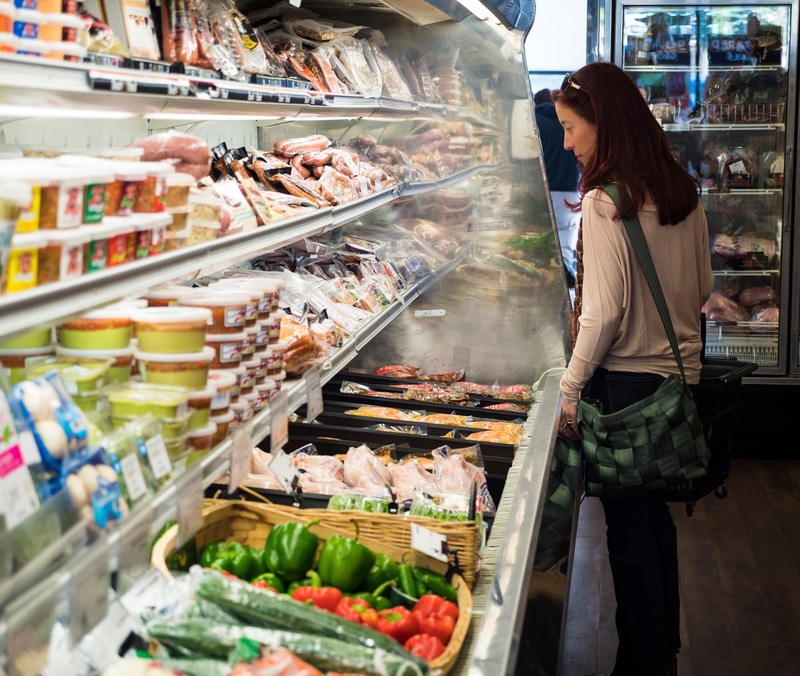 And, in the summer months, they also carry locally-grown produce. 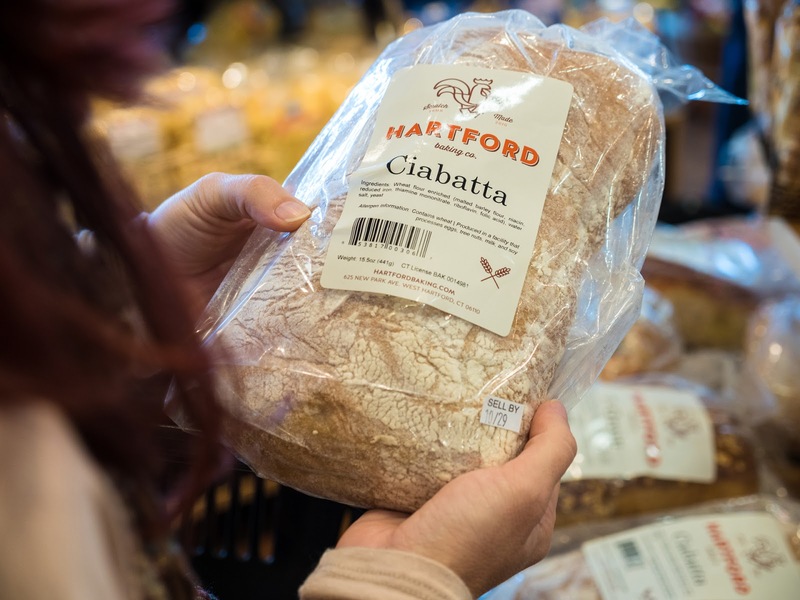 Plus, the Hartford Baking Co. delivers an array of fresh breads every day. We grabbed a loaf of the ciabatta bread, which was outstanding by the way. 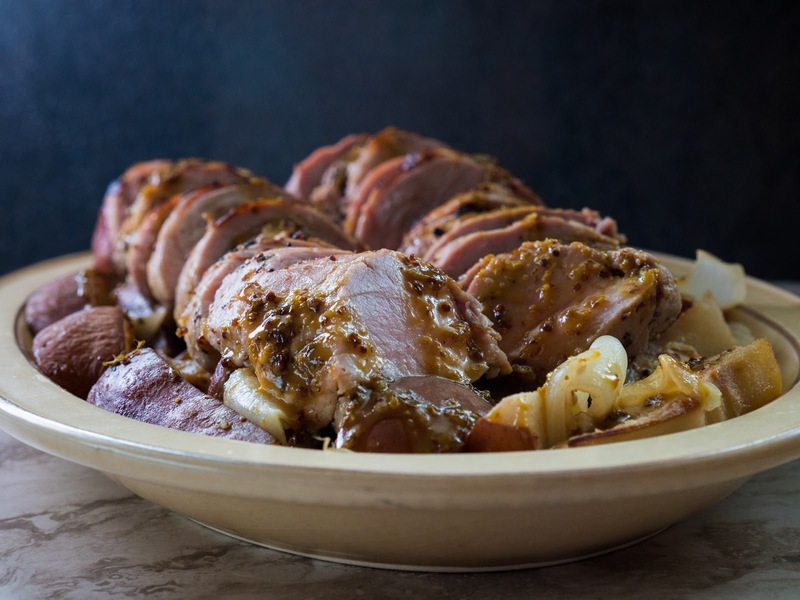 To make this recipe I not only needed the fresh pork tenderloins (which were already trimmed), but I needed the accouterments like real maple syrup and a tangy mustard. Well, I found those and more as I wandered throughout the market. I decided (with a little fun assistance from an Instagram Poll) to use Finding Home Farms (Middletown, NY) maple-horseradish whole grain mustard along with Finding Home Farms organic maple syrup. I also picked up a jar of Bessel's Best (Collinsville, CT) beer mustard, Mike's Hot Honey (Brooklyn, NY). Oh, and some locally made biscotti too. 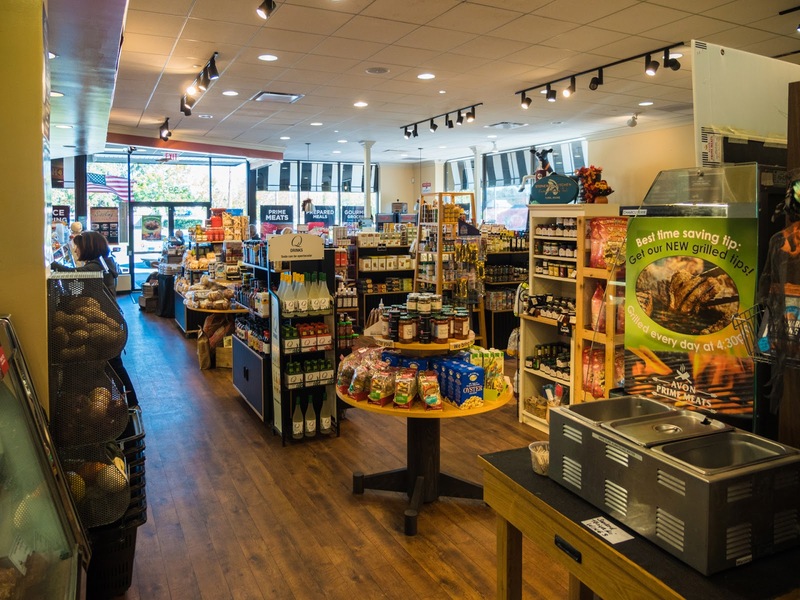 The staff was also so helpful and friendly. They know a lot about the products and seemed to really care about what they sell. 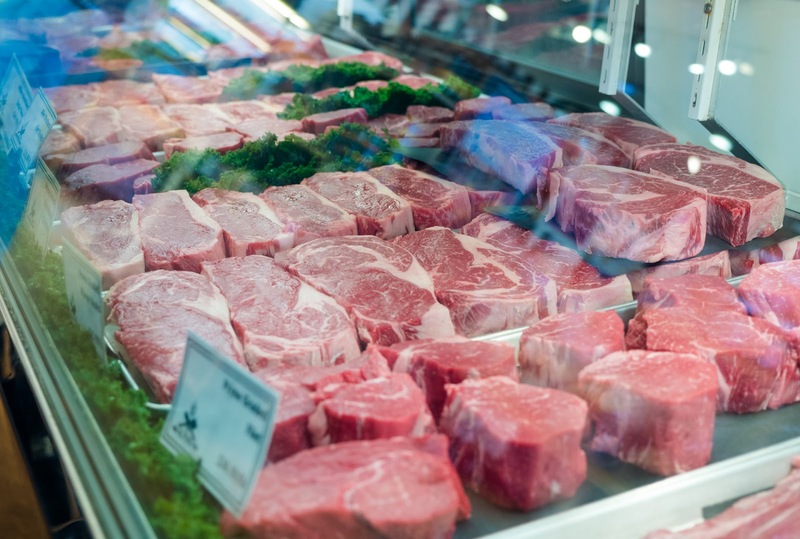 If you are up in the Farmington Valley area, I recommend you stop into Avon Prime Meats. Just do it. 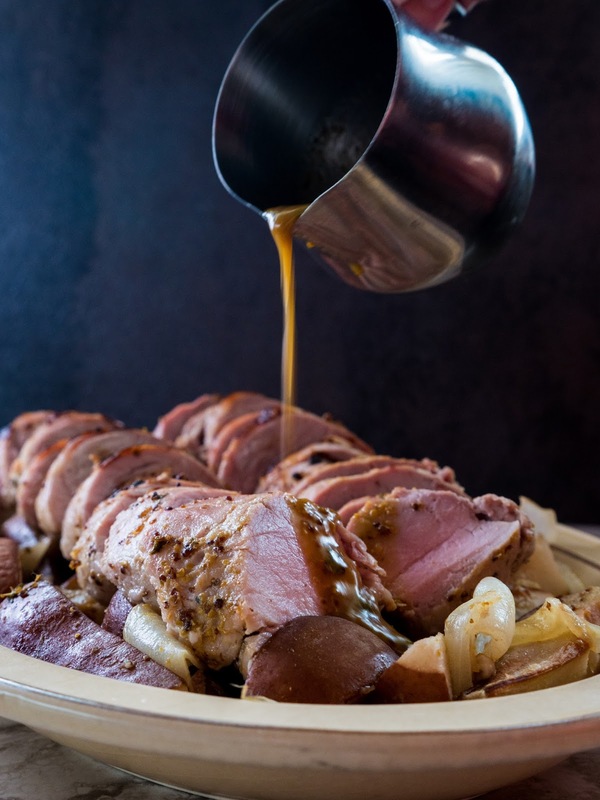 Now, let's get to the recipe at hand: Maple Mustard Roast Pork Tenderloin with Pears. It's sweet, a bit tangy, and looks fancy enough to serve guests. I think it's best when served family style alongside a seasonal green like roasted Brussels sprouts. Whisk together the mustard, maple syrup, cider vinegar, olive oil, fresh thyme, salt, and pepper. Place the trimmed pork tenderloin in a container with a lid. Pour half the maple mustard mixture over the pork. Reserve the other half for later use. Make sure tenderloin is fully coated. Marinate for at least 2 hours. Cut the pears into eight wedges. Be sure to trim the ends and remove seeds and stem. Slice the onion. Toss the sliced onion and pear wedges into the bottom of a roasting pan. Put the marinated pork tenderloin on top of the onion and pears. Roast in the oven for approximately 45 minutes, or until the internal temperature of the pork is 145 degrees Fahrenheit. When the pork is done, remove from pan and let rest, covered for 10 minutes. Then slice thickly. Transfer to a serving platter along with the cooked pears and onions. Pour on the reserved maple mustard marinade and serve family style. I bet the pears are just divine on this!